Joining Kent Weakley's P52 Sweet Shot Tuesday for the 29th week. 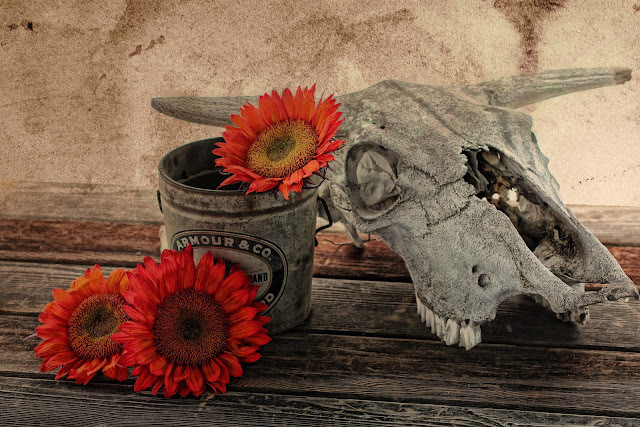 Two "vintage" items are at the center of this still life: the weathered skull of a cow and a very old bucket that once held lard. The sunflowers are new, but artificially colored. Love the bright, colorful sunflowers contrasted with the subdued tones of the other items.